Why not start at the tippy top where the cream rises and the stars shine the brightest? The people at this conference made it truly unique and special. It was like coming in to a family of long-lost relatives. Everyone looked familiar, thanks to social media connections. Smiles greeted me around every corner. As I mentioned earlier this week, I had the great pleasure of meeting and hugging the necks of sweethearts like Jaime Jo Wright and Shelli Littleton and even being recognized by fellow authors like Laurie Tomlinson and Carol Moncado! I was especially blow away by the genuine interest and time suspense author Rick Acker extended to me as we sat together at lunch. Keep reading for even more mentions of awesome ACFW folks! I was able to attend three workshops while at the conference. ACFW is known for its stellar workshops on craft, the publishing industry, marketing, and more to help authors achieve their goals. Published and awarded authors, agents, editors, and friends of the industry offer their expertise. At the Plotting Puzzle: Piecing Together Your Story, Lisa Jordan and Mindy Obenhaus offered fun tips for planning your story in a way that makes it (hopefully) easier to write and easier to read. These two were so funny! I even won a signed copy of one of Lisa’s Love Inspired books! I came in late to my second workshop because I had a pitch going on. It was on creating intriguing story questions and super helpful. Wish I had more to share, but didn’t hear much of it. The third workshop I went to was on Reader-Focused Marketing and taught by Books and Such agent Rachelle Gardner and author Karen Witemeyer. You might remember I met Karen previously at a book signing here in Fort Worth. She was just as sweet and real and funny at the workshop. I learned how important it is to ask not what the reader can do for you, but what you can do for your reader. It’s all about building connections and relationships — a real theme at the entire conference. So, I admit making pitches to potential agents was both the most exciting and the most terrifying part of the conference for me. Attendees were given the chance to request 15-minute one-on-one appointments with agents or editors to pitch our books. A pitch to an agent includes delivering a strong hook for your book (short 1-2 liner to get them interested) and maybe show them a “one sheet” that gives more description, style, and feel of your story. Think of it as the initial approach to a potential date. If an agent is interested by what they see, then they’ll hopefully ask for a second “date” by requesting to see a formal book proposal. But there’s one big catch about these agent appointments. You can request several agents/editors but won’t know who you’ll meet with until you get to the conference! That means preparing a handful of pitches for what might be just one or two meetings. Yikes! I was so thrilled to pull out my schedule after checking in and see that I had appointments scheduled with all three of my top agent picks! A big “yes!” was followed by “Oh, gosh, here we go!” and some intense nerves. Thanks to your prayers and encouragement, and the fact that each and every agent was such a dear (it’s true, agents are real people, too!) I made it through each pitch with flying colors. In case you didn’t read it earlier, I’m blown away to be able to tell you that all three agents requested to see a book proposal for my first novel! This is the best outcome I could have ever hoped for. You may be wondering who they are, but my not mentioning them is intentional. I don’t feel it’s prudent to mention their names here until I sign with someone, if that happens. The perfect fit between an agent and an author is a delicate one, I believe. For now, it’s personal for me and there’s still many steps to take. Think of it this way…you don’t introduce a date to mom and dad the first night! This week and weekend, I’ll be getting my proposal together. A proposal customarily includes the hook, synopsis, author biography, marketing plan, and sample chapters. I’m incredibly humbled and grateful for a few of you fellow authors who’ve already offered to take a look at mine and help me polish it until it shines. I’m aiming to send the proposals out next week. Keep in touch. We’ll be celebrating the day those go out, then it’s a waiting game to see who wants to peek at the full manuscript. Past that? I’ve begun notes on book two! Can you believe it? If you’ve made it this far, you’re a rock star blog reader. Seriously. Pat yourself on the back, high five your dog, or give yourself a wink next time you pass by the bathroom mirror. Thank you for being part of this community. Speaking of thanks, I’m giving back to those who go the extra mile to stay in touch by subscribing to my newsletter. My very first issue goes out October 1. 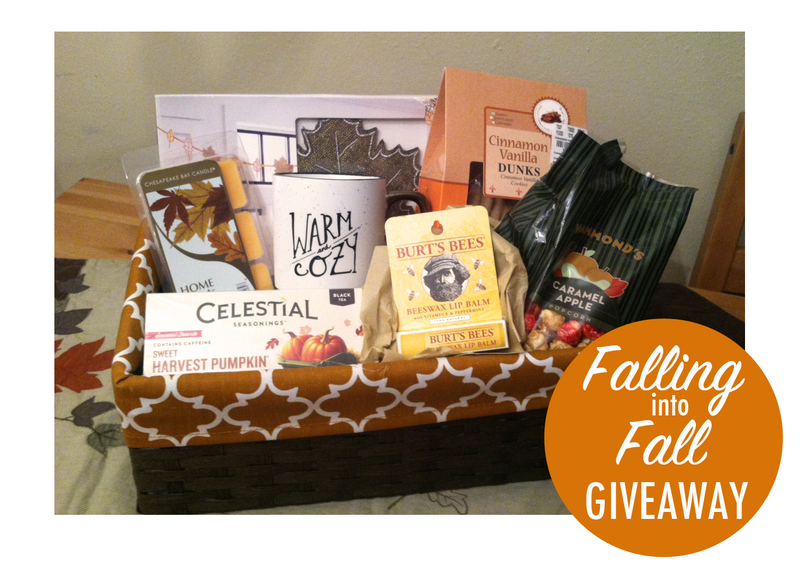 Everyone subscribed will be entered to win the “Falling into Fall” Giveaway…which includes all the goodies you see below! Not subscribed yet? What are you waiting for? Simply click here. The winner will be announced in the newsletter, so be sure and watch for it in your inbox. Whew…I’m tired. Blessings abound. Grace is real and working. Amen! Yay! What an awesome first conference! Congrats on the agent requests 🙂 So glad to meet you! Thanks, lady! Awesome to meet you as well! I still am shocked you recognized me. A surreal moment. Haha. So happy for you, Teresa! I also had agents ask for my manuscript! Still feels so surreal!! 🙂 Praying blessings on your journey! Thanks, Laura! And congratulations to you, too. Super excited for you! Congratulations X3! This is my first time here, but I will definitely be back. Congratulations on your success at the conference! It is a dream of mine to go some day. Thank you for sharing your time! Oh I should also mention that I signed up for your newsletter but I never received the invitation link to my email. Hi Kelly. You may want to try again. On my blog page, you can click on the “Sign Up For my Newsletter” button. I don’t see you on the list. Be sure and check your Spam folder, too. Just in case. If it still doesn’t work, let me know and I’ll add you. Super fabulous! I cannot wait to hear how it goes for you! Rejoicing with you!! !